Douglas Bradley, curator of Arts of the Americas, Africa and Oceania at the University of Notre Dame’s Snite Museum of Art, died Wednesday (Dec. 18) of complications of treatment for non-Hodgkin’s lymphoma. He was 65. 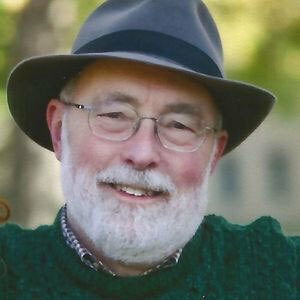 A 1971 Notre Dame alumnus, Bradley earned a master’s degree in museum practice from the University of Michigan in 1976. He returned to Notre Dame in 1979 as a curator in the Snite Museum. Bradley is survived by two daughters, Elizabeth O’Connor and Catherine Bradley; a grandson, Ian O’Connor; and a sister, Karen Bradley, of West Milton, Ohio. A visitation will be held from 10 a.m. to 2 p.m. Monday (Dec. 23) at Kaniewski Funeral Home (3545 N. Bendix Drive, South Bend), followed by a memorial service at which Rev. Austin Collins, C.S.C., professor of sculpture at Notre Dame, will preside. Condolences may be sent to Elizabeth O’Connor and Catherine Bradley in care of the Snite Museum. Contributions in Bradley’s memory may be made to the Snite Museum of Art, P.O. Box 368, Notre Dame, IN 46556. Originally published by Michael O. Garvey at news.nd.edu on December 19, 2013.